Welcome to San Francisco's premiere Cigar Bar. 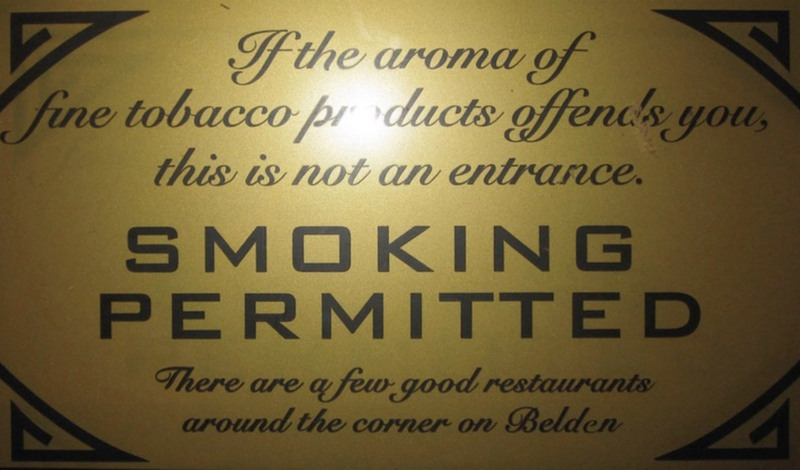 If you were looking for the legal place to smoke and drink indoors, you've hit the jackpot. We offer premium cigars for sale by the stick or by the box, over 150 spirits, artisan crafted micro brewed beers and local, small production hard to find wines. We are open to the public and you don't need reservations. Located in the heart of San Francisco's historic financial district, we are owner operated and proud to be the last bastion of civilization in an otherwise hostile smoking environment. Time for a smoke? Then it's time for The Occidental Cigar Club. Join us!